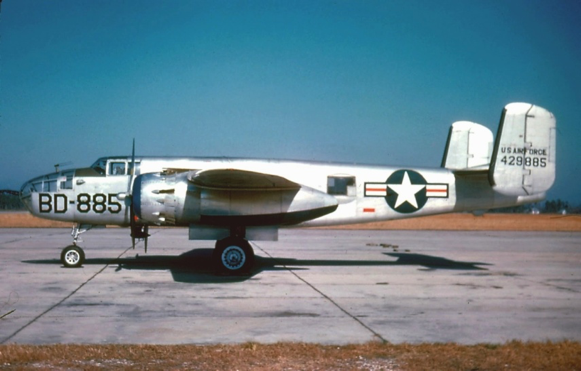 After the successful standard work "B-25 Factory Times", author Wim Nijenhuis has released a new unique book dedicated entirely to the B-25 Mitchell serving the American armed forces and the paintings of the various units. 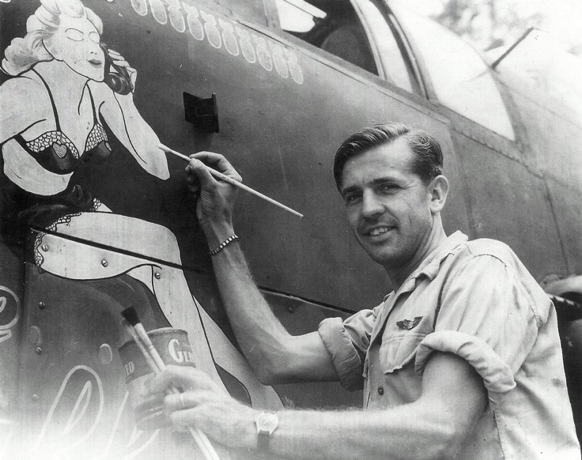 The book “Mitchell Masterpieces” is not just about the various forms of nose art, but also about other paint jobs. A large number of airplanes from the most common units are described, both during the Second World War and after the war. Backgrounds of paintings are described as well as Hollywood stars visiting the war fronts. What was the meaning of men's magazines and cartoons for nose art? What did this meant to the crews who fought under sometimes primitive conditions and far away from home? 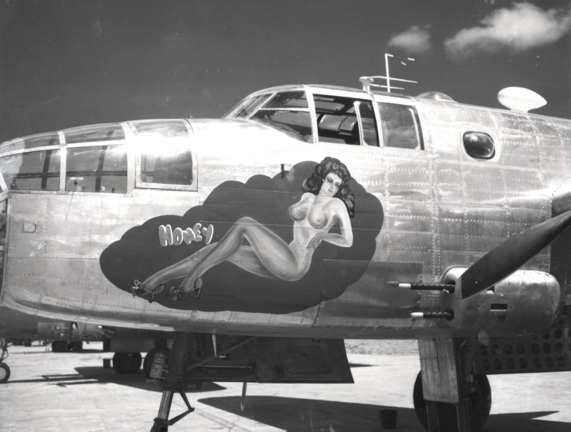 An illustrated history of the golden age of airplane nose art with many masterpieces. But also the post-war natural aluminium finished airplanes with their markings were true masterpieces to see. A pleasant book focused on the B-25 Mitchell with many illustrations and with lots of background information as never published before in this way. English language. With a foreword written by John C. Miller, son of Lt. Col. Kenneth E. Miller, pilot in the 42nd Bomb Group and a very talented nose art artist. 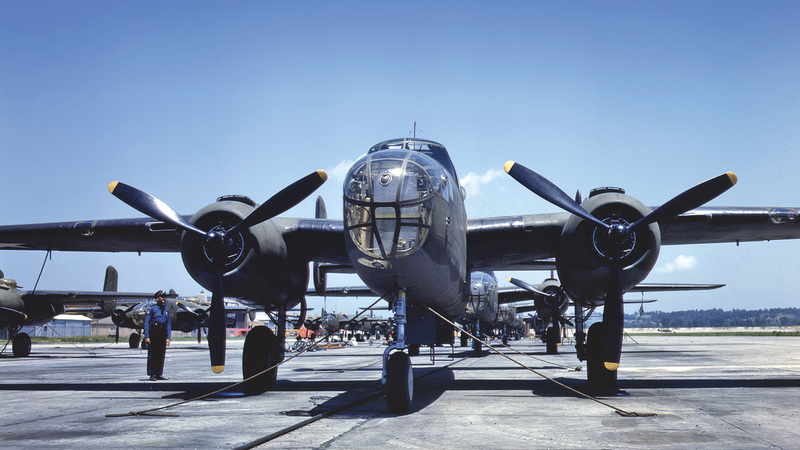 He made many beautiful paintings on the noses of B-25s. Bold nose art in the Pacific. 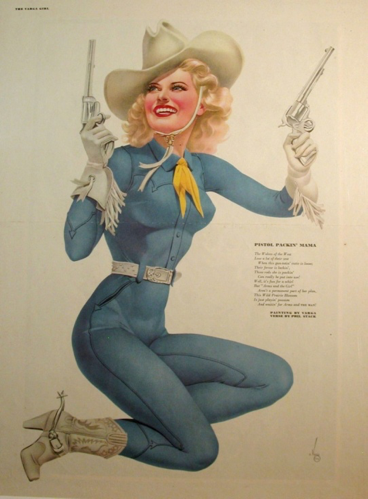 “Pistol Packin’ Mama” often used as example. Lt. Col. Kenneth E. Miller at work. The foreword is written by his son John C. Miller.